While the commencement of the New Year is a time of celebration and joy for many around the world, it was for Xi Jinping primarily an occasion to reassert China’s geopolitical interests. Xi started off 2019 by threatening the small island of Taiwan. In his New Year’s address, he asserted that Taiwan ‘must and will be united’ with Beijing. While China claims that Taiwan is unequivocally a part of its territory, a growing sense of national identity in Taiwan challenges these claims. Taiwan, however, has an economy and army substantially smaller than that of China, so why is the Politburo so sensitive about this little island? The Communist Party of China (CPC) is concerned with uniting Taiwan with Beijing because Taiwan represents a vision of what mainland China could be. Although Taiwan is significantly smaller in terms of size, economy, and armed forces, it is one of the few prospering progressive democracies along China’s border. This vision is viewed as an existential threat to the CPC since it seeks to expand its geopolitical interests in the region on the basis of the One-China principle. However, the CPC’s approach to the Taiwan issue must take into account interests other than its own. China’s growing antagonism towards Taiwan has alarmed the United States, which is seldom hesitant to confront China under Trump’s presidency. The increased tensions between Washington and Beijing are thus being projected in yet another arena: Taiwanese sovereignty. Since the pro-independence Democratic Progressive Party (DPP) returned to power in 2016 and refused to recognize the 1992 Consensus, the political basis for the One-China Principle, the Chinese government has initiated several measures to increase the pressure on Taiwan for it to adhere to the traditional policy. For instance, it has persuaded five other countries to follow suit and cut diplomatic ties, which effectively reduce the number of states that retain formal relations with Taiwan to a mere 17. In addition, China increased pressure to stifle tourism from the mainland from approximately 4.2 million mainland-Chinese tourists in 2015 to only 2.73 million in 2017. Furthermore, airlines such as Qantas bowed to Chinese pressures to label Taiwan as a territory instead of a country. Such heavy-handed tactics prove that Taiwan’s quasi-nation status continues to provoke intense angst within the Communist Party of China. Xi Jinping remains determined to incorporate Taiwan into the ‘one country, two systems’ approach that China had previously taken with Hong Kong when it returned from British to Chinese rule in 1997. Xi does not believe that China’s autocratic political system is inherently incompatible with Taiwan’s progressive democracy. At the same time, the CPC refuses to acknowledge the obvious: that Taiwan’s interests and autonomy would face little to no protection in this model. Taiwan’s ruling party is wary of this approach since freedoms in Hong Kong have eroded since Xi came into power, fearing for the state of its own democracy. Tsai Ing-wen, President of Taiwan. 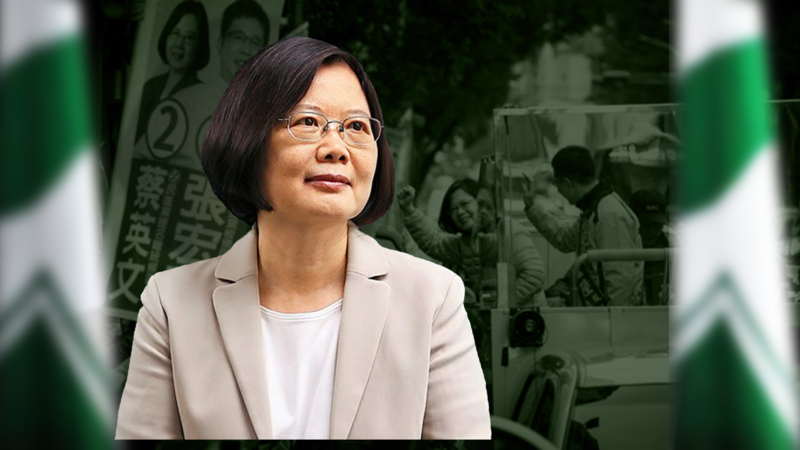 The President of Taiwan, Tsai Ing-wen, has responded in a speech in which she entirely rejected the One China principle and the ‘one country, two systems’ formula while calling on the international community to support Taiwan’s independence. Xi, for his part, has not indicated that China would offer any concessions to Taiwan in order to enter into negotiations. Nor did he refuse to abandon the idea of using force to prevent Taiwan from acquiring formal independence. Nonetheless, China’s tough stance toward Taiwan has failed to bring about any substantive concessions from Taipei. On the contrary, China’s policy toward Taiwan has proved counterproductive, exacerbating tensions with the United States instead. The United States retains its stance on reassuring Taiwan on the issue of security in response to China’s increased threats. Brett Christensen, Washington’s de facto ambassador to Taiwan, told reporters that anything “other than peaceful means” to decide Taiwan’s future is a grave concern. Beijing nevertheless views the Taiwan issue as one of China’s sovereignty and territorial integrity, whereby it warned Taipei against colluding with foreign forces. The geopolitical contest between China and the United States in recent years has been described by Western media as a new cold war that entails sobering ramifications unless China changes its course. 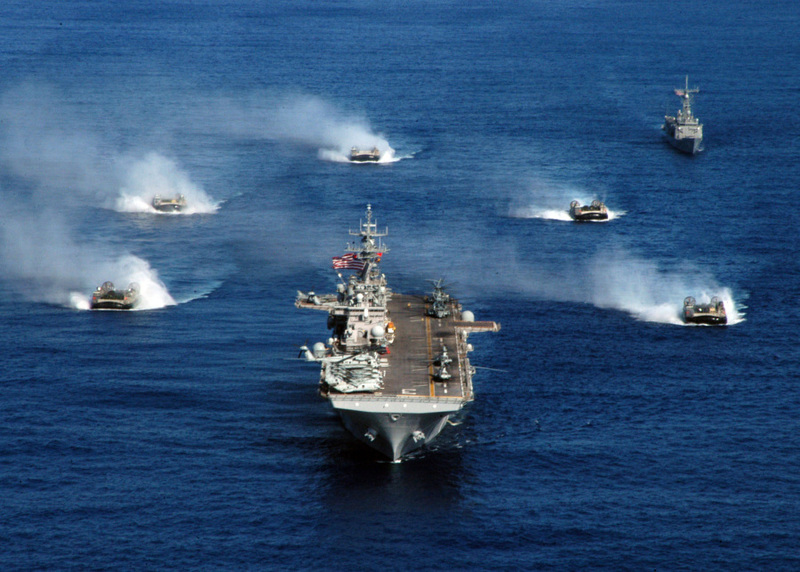 The USS Kearsarge (LHD-3), the third Wasp-class amphibious assault ship of the United States Navy. The United States severed formal ties with Taiwan in 1979 to formally recognize Beijing instead, but the two sides continue to maintain unofficial military and diplomatic ties. Thus, China’s military and diplomatic pressure on Taipei in recent months have resulted in increased retaliatory measures by the United States. The United States’ new $250 million embassy in Taipei is but one consequential symbol of this informal partnership, wherein Washington continues to assert Taiwan’s “substantive role” in the international community. The recent US sanctions on China’s military and bilateral trade war add fuel to this fire. Despite opposition from China, the United States Navy has also sent warships through the Taiwan Strait as a sign of support to Taipei amid growing tensions in Cross-Strait relations. The increasing tensions between China and Taiwan represent yet another flashpoint in the greater geopolitical competition between the United States and China. If this issue is not resolved in a peaceable manner, it may entail considerable diplomatic and economic risks to not only the people of Taiwan but also the rest of the international community. Further, if the Taiwan issue becomes even more intensified and politically salient, Taiwan risks becoming simply a pawn in Chinese-American relations, if it isn’t one already. The democratic composition of Taiwan is a cause of alarm for the CPC since the CPC seeks to repel any democratic influence from its bounds. Yet the proximity between China and Taiwan makes this a daunting task for the CPC. By choosing to threaten Taiwan under the One-China policy, China has brought the United States closer to its border. China must therefore be more prudent with its stance toward Taiwan because the United States has become not only a close spectator but possibly a player in China’s own game. Mohit Mann is a U2 student currently pursuing a degree in Political Science and History. He specializes in American foreign policy and developing areas.